Sunday - Thursday: 11-10 p.m, Friday-Saturday: 11-11 p.m. Closed Christmas Day and Thanksgiving. Use our complimentary valet for lunch and dinner. Take 7th Avenue or Henderson Avenue to Highland Avenue. Watch for signs. Patrons also may use free street parking and private lot parking. One lot is on Doyle Carlton Drive across from Water Works Park. Ulele (pronounced you-lay-lee) celebrates the vibrant fusion of ingredients from Florida waters and land once home to many Native Americans, including the legendary young princess Ulele. Located on the Hillsborough River in Tampa Heights, 400 yards from the Straz Center for the Performing Arts. Indoor and outdoor waterfront dining. Lunch & dinner daily. Closed Thanksgiving & Christmas. Featuring intricately flavored, visually appealing dishes prepared on our 10' round barbacoa grill. 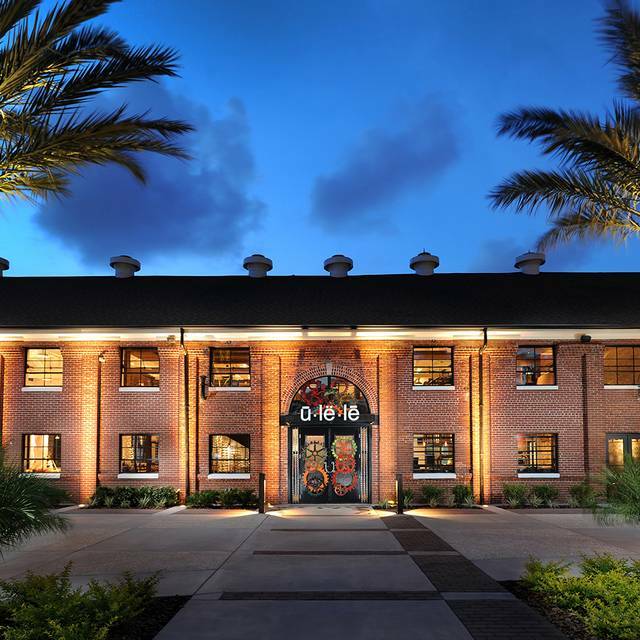 Ulele operates in the lovingly re-imagined 1903 Tampa Heights Water Works building, which also includes its Ulele Spring Brewery to provide a number of craft beers on tap. Next door to Water Works Park. 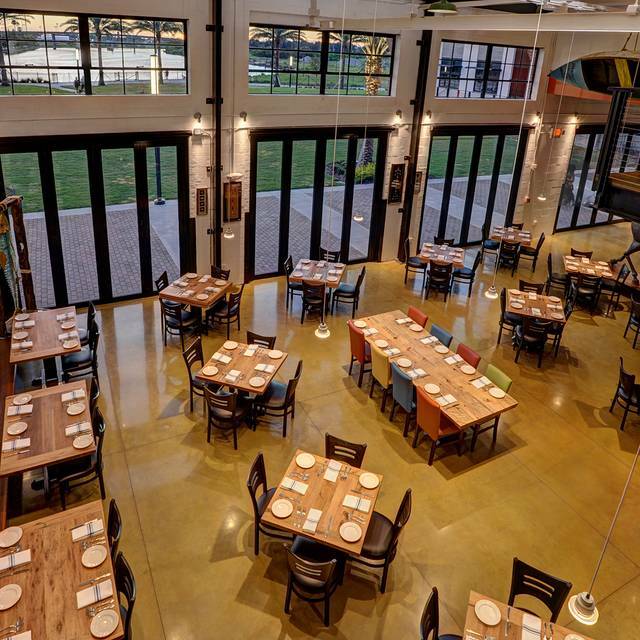 Enjoy a Mother’s Day meal at Ulele with indoor and outdoor waterfront dining. 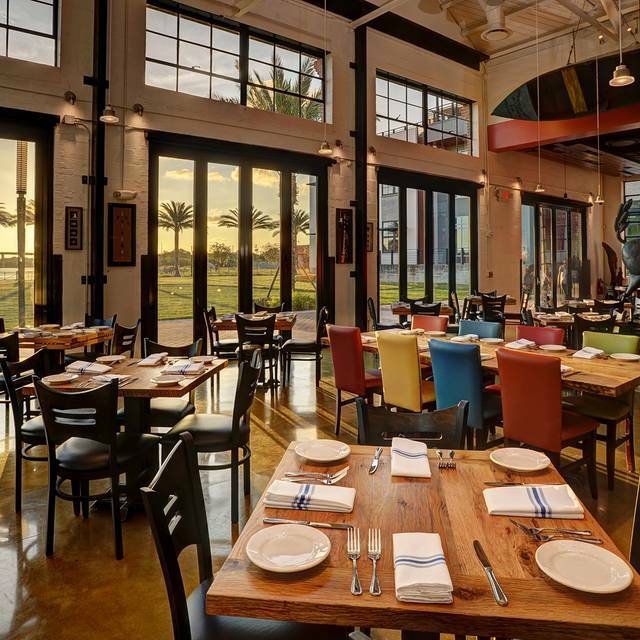 Enjoy an Easter meal at Ulele with indoor and outdoor waterfront dining. You must ORDER the Pompano, wow! just Wow! Also, I would order the Broiled Oysters for an appetizer! I purchased the shrimp po' boy and the breading was SUPER salty, so I was not impressed with it. However, I did enjoy the jalapeno muffins with whipped butter. 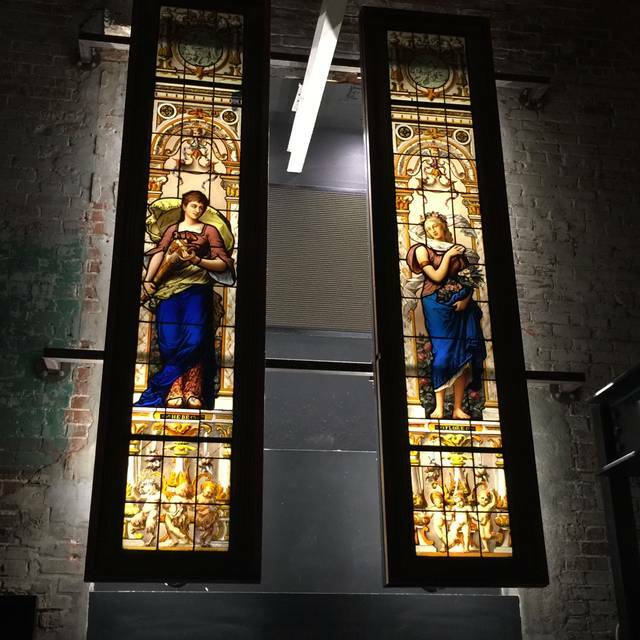 The restaurant is beautiful, and the setting is gorgeous. Our server was amazing and the attention to our table SUPERB. The food was lacking. My fries were delicious and the scratch made ketchup (I think it was scratch made - It didn't taste like Heinz) was really good too. I would go again to check out some other dishes. Business trip to Tampa - didn't expect to find such a gem within walking distance of our hotel! We sat outside - great fire pit and landscaping. Riverwalk views! Awesome atmosphere. Service was phenomenal - our waiter was so knowledgeable about the wine and beer selections. Definitely be back on our next trip! Food took a very long time and was Luke warm when it arrived. Filet mignon had a lot of fat running throughout it. We still enjoy ulele and will try again. The renovation has an urban feel and the grounds stretch to the river and adjacent waterworks park. menu is varied, lots of seafood, beers are made locally and ice cream too! menu choices were excellent. She was pleasant and we all agreed that she gave us excellent service. Would recommend this restaurant to anyone who is looking for a pleasant dining experience and exceptionally good food. brought wrong deserts) and felt heard and ignored by waitress. Love Ulele! Perfect setting, great menu, unique dishes. Service was slacking this time, which is unusual. No energy or greeting from the server, and took at least 10 minutes to even acknowledge we were there. I always loved the "story" the server gave to first-time visitors. I asked him to give a quick overview of it to my guest, but fell very short. I am not sure the guy ever smiled once. He needs to work somewhere else. I will always go back to Ulele for the experience, but hope the service is excellent next time. Awesome food and service ! Server was very knowledgeable and courteous !! Made a reservation with birthday notes on my reservation where most restaurants don’t even read those notes. Ulele did and brought exactly what I ordered. Thanks for making her day special. Interesting food choices which are extremely good. Reasonably priced food and wine. The service is excellent and the outdoor seating is a fun time. 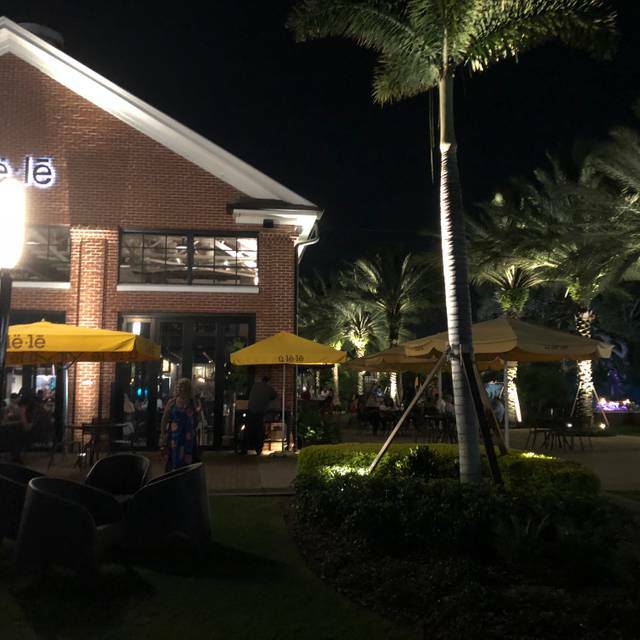 After many recommendations to try Ulele from various people we have met since moving to the Tampa area from NY a few months ago, we finally had the opportunity. We have tried a TON of area restaurants since we got settled and this has to be one of our favorites! The atmosphere was fun, the staff was friendly and the food was delicious and generously portioned. We had a drink outside before our reservation and the bar staff was friendly, made excellent recommendations on cocktails. We will go back for sure! Wonderful food. Conversation was difficult because of noise level. We know that it is not a place for important conversation. It was very busy, so we were understanding of service level being somewhat slow. Of course we will return, but sit outside when the weather is a little cooler. Jeri was our server and she was outstanding, made the evening memorable and the food and atmosphere were perfect. The manager, Andre, came over and greeted our table toward the end of the evening knowing we were celebrating and thanked us for coming to the restaurant and gave us a little gift of chocolates to help us celebrate. 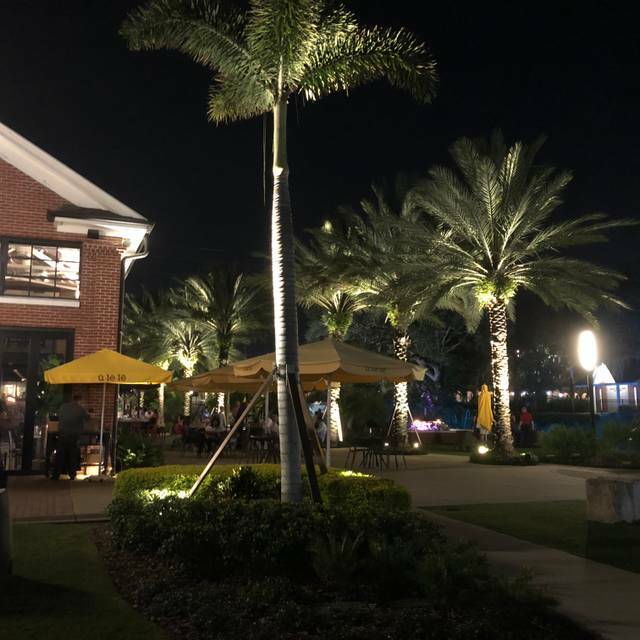 I would highly recommend Ulele great food and atmosphere. We were so disappointed ! The food took so long and the appetizers got burned, so we gor complimentary oysters,which only some of us enjoyed. The booth seat was too low in relation to the height of the table. Service was very slow,took almost 45 min to get the food. Needs a good cleaning too, cobwebs on the lamp on the wall, as well on the lights above. None in our group will go back,too loud, too slow, and too dirty. Service was excellent. We sat outside on a very nice day and it was a beautiful setting. I loved my food and my husband thought his was average. Second time here and just as impressed... Eating outside is amazing and is surreal... Inside is nice just noisier... great food and beers..... ice cream tops it off!!! Oh my! Ulele needs to re-evaluate their dinner entrees and side dishes! Their Gouda Grouper Gulf of Mexico fresh grouper fillet wasn't fresh, seasoning was bland and I am really doubting that it was even grouper! It had no taste and was mushy. Everything on the plate was pretty horrible. I did send it back and ordered the Yellow fin Tuna which, in itself was good, but the sides were terrible. When you have a small bowl of pureed beans and have to ask, "What's this," that's not a good sign. The scallops, shrimp and grits were mediocre and seasoned poorly. What a disappointment! A total revamping of their menu items and preparation of them certainly is in order. This is our favorite good restaurant for special events. What a find! In town for concert and found this great spot! I’d likely call the restaurant directly for reservations next time as we were seated in the least desirable area of restaurant. Went for lunch at 1PM. It was busy, but we were seated quickly. The noise level was quite high. Thankfully, my friend and I were seated in a corner where it was a little quieter so we could have a good conversation. The food was delicious. I had the Gouda Grouper and my friend had the shrimp and grits. Both dishes were excellent and filling. The red sangria was good enough to have two glasses. Ulele was amazing! It was beautiful on the walk up and it just got better inside. My boyfriend and I split a chili a salad and the seafood risotto and all of it was absolutely perfect. The chili was nice and spicy, the salad has the perfect amount of dressing and my boyfriend doesn't even like most seafood but we cleaned the plate. The server even offered to go cups for our beer so we could walk around their beautiful property. We had the best time! We had dinner as a group of nine before going to the theater and everything was fabulous! They got us in and out in time to make the opening of the show without feeling rushed and everything was delicious. Great setting.....great service.....great food. Enjoyed the fact they had a number of unique beers to choose from. We will be back. It would be nice if you had a few traditional dinners like a steak or a hamburger. The closest I found was the meat loaf which was pretty good though served warm but not hot. Restaurant was great! In a good location with convenient free valet parking. The oysters are absolutely amazing, best in my travels. Staff was beyond helpful and resourceful. Thank you for such a great evening. Next time we will come early and enjoy a drink on the lovely grounds before dinner. Food was very good. Waiter was exceptional!!! This establishment is consistently great! I especially love the Gouda Grouper. 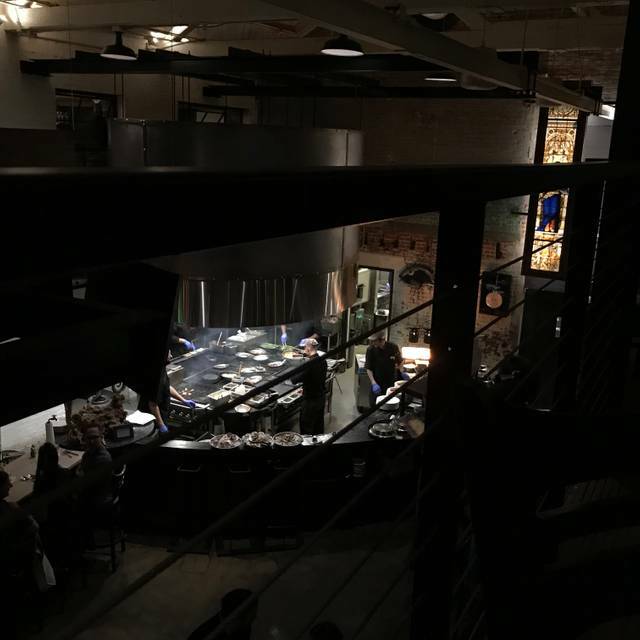 We spent 6 days in Tampa and Ulele had the best food by far. Evan was our server and he provided excellent service; he was very attentive to our party’s needs and took special care to accommodate the food allergy for one member of our party. 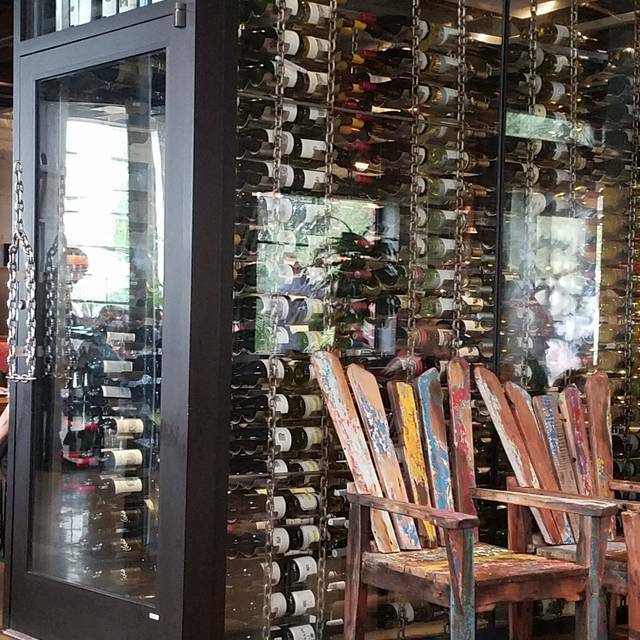 If you’re in Tampa, don’t miss Ulele! It was a “fun” restaurant with a great indoor and outdoor atmosphere. The service was excellent and the menu was very creative. I had the Pompeo fish with spinach and it was delicious . Would recommend this restaurant!